Classic traditional button tufted styled love seat. Upholstered in Oxblood vinyl. Mahogany finish on wood components. Hand applied individual antique brass head nail trim. 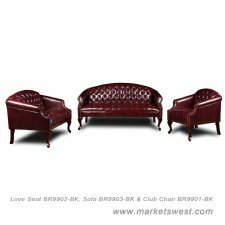 Matching Love Seat for models BR99801-BY and BR99803-BY. Minor assembly required for leg attachment. 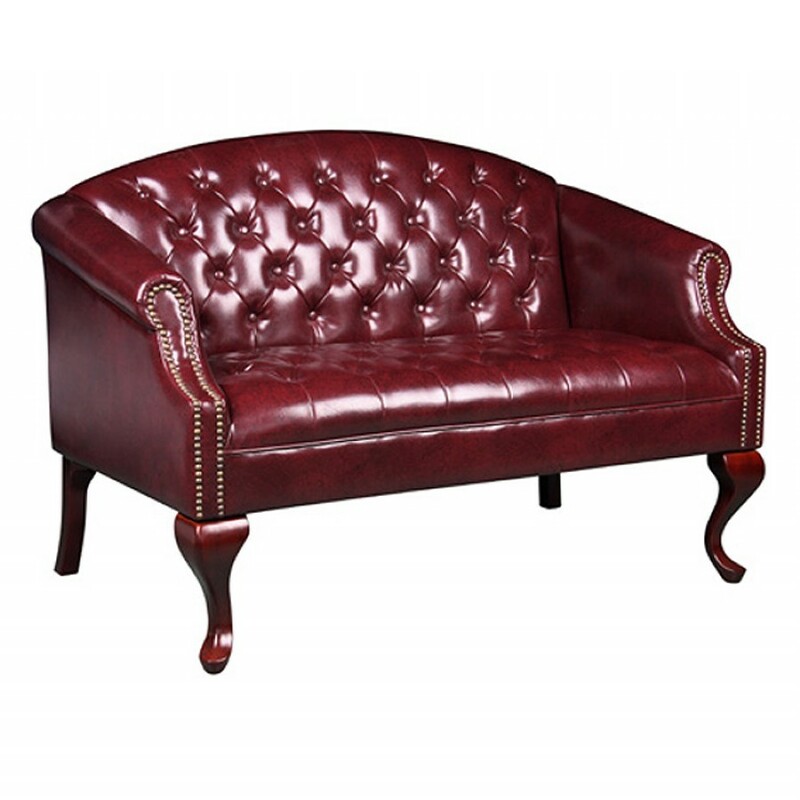 Classic traditional button tufted styled love seat. Matching Love Seat for models BR99801-BY and BR99803-BY. Minor assembly required for leg attachment. Seat Size: 38"W x 19.5"H.
Overall Size: 47"W x 28.5"D x 32"H.